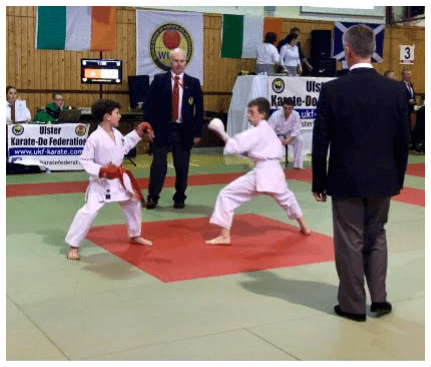 Teddy in Year 4 traveled to Burnfoot in Ireland last weekend, as part of the Karate England National team, for the Irish International Championships. Along with another competitor from the team, Teddy unfortunately missed his section due to an administrative error, and was moved into the 10-13 years tall boys section, two categories above their own. There were fifteen boys in the section and despite Teddy being understandably nervous about the size difference, he performed well and came away with the bronze medal. 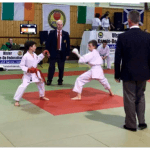 The competition was of a high standard and all the competitors worked hard. Teddy should be incredibly proud of himself, as are we. Well done!